Imagine you have a friend. You do everything for him. You don’t feel like he’s particularly responsible, but you still help him pay off his credit card debt, drive him to work, help him study, and take him to the free clinic when he shows up on your doorstep after a night of binge drinking. Finally, his behavior continues to escalate out of control, and he demands more or your time and money. You start dodging his calls. You avoid him when you see him at the store. One day, it becomes too much trouble. You throw up your hands and just decide to stop. You quit. You’re done. You’re out. Now, imagine that you are the responsible one and the irresponsible friend is the government. Congratulations, you now understand the economic concept known as the Laffer Curve. 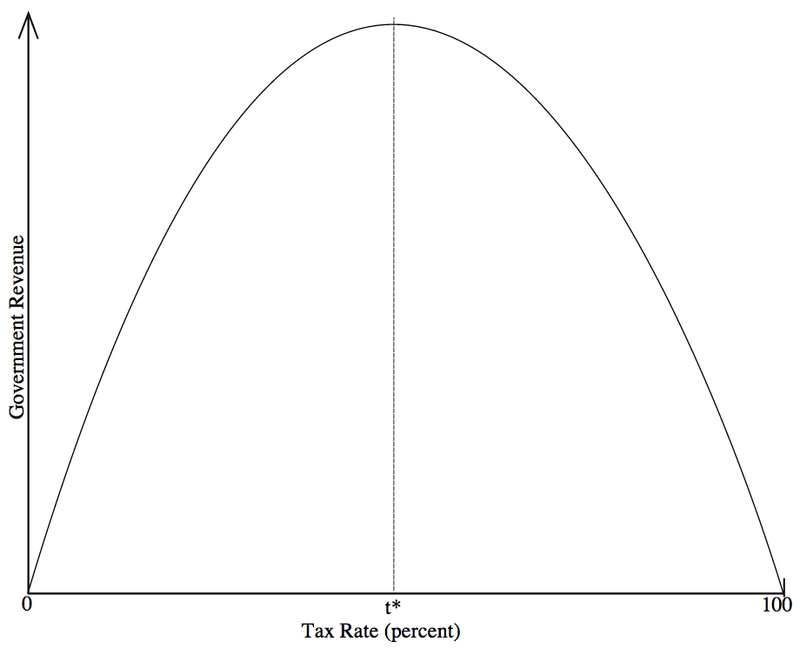 The Laffer Curve, which is sometimes called the Laffer-Khaldun Curve, is a theoretical relationship between the money a government raises through taxation and all possible rates of taxation. The underlying hypothesis behind the Laffer Curve is that if tax rates are 0%, no money will be raised, and if tax rates are 100%, no money will be raised because people will refuse to work or they will cheat to avoid taxes, forming a shadow economy (i.e., throwing up their hands and giving up). 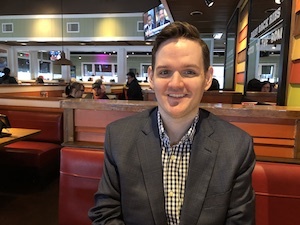 The Laffer Curve is an economic concept that describes the theoretical line representing governmental tax receipts ranging from tax rates of 0% to 100%, with the premise that total tax revenue would be $0 at either end of the extreme. The lesson to take away from the Laffer Curve is that there comes a point at which raising tax rates further will result in a decline of tax receipts because it changes the behavior of the population being taxed. Last year, I read the biography of Andrew Mellon. In 1924, during his stint at Treasury Secretary of the United States, he discussed what we now call the Laffer Curve when he said, “It seems difficult for some to understand that high rates of taxation do not necessarily mean large revenue to the Government, and that more revenue may often be obtained by lower rates.” At the time, tax rates were 73%. Mellon would argue that “73% of nothing is nothing”. [mainbodyad]Mellon was largely responsible for dropping tax rates from 73% to 24%. As a result, the amount of money the government received in tax receipts grew to more than $1 billion in 1921, up from $719 million in 1929. That is incredibly impressive when you consider that during the same period, the United States experienced deflation, not inflation. If tax the tax rate had remained the same on a constant population basis, they would have fallen to $689 million in 1929. For all intents and purposes, there is evidence that it was Mellon’s understanding of the concept behind the Laffer Curve that resulted in nearly 2x as much money coming into the government. In other words, tax rates were dropped from 73% to 24% and the amount of money the government collected in taxes nearly doubled. Why? People changed their behavior. We saw this same thing in the aftermath of the so-called Bush Tax Cuts. Back in 2010, I wrote a blog post showing that in the 8-year since they were passed, governmental tax revenues had increased 21.42% despite having just emerged from the worst economic collapse since the Great Depression. At the same time, government spending had skyrocketed 72.27%. Anyone who blamed the tax cuts for the deficits probably failed fourth grade math. The results are even more impressive when you consider that the early years, tax receipts were artificially high due to the housing bubble and it later years, they were artificially low due to the Great Recession. Since the Bush tax cuts, people spent more money and so more taxes were paid resulting in an increase of tax receipts of 21.42% despite the worst recession in 70 years. Instead of using all of this fresh cash flowing into the capitol to pay down the national debt, Congress blew it and increased spending by 72.27% putting the balance on the nation's credit card. Now, they are complaining that the rich just aren't paying their "fair share" even though lower taxes results in more money flowing through the economy and more absolute tax receipts (call it the "Walmart Model"). Not all taxes have the same power of influencing people’s behavior. The work of Milton Friedman has been bastardized by a handful of super-rich Republicans who were partially responsible for increasing the payroll tax from 2% in the 1950’s to 15.3% today. That is the most common tax among the poor and middle class. At the same time tax cuts have been handed out to the rich and super-rich, the tax burden on the poorest has increased. I get tired of saying it, but I would gladly slash the payroll tax in accordance with the Laffer Curve model, and make up for the money by raising taxes elsewhere in the economy, including, perhaps, returning to the top-tier income tax bracket rates of the Clinton Administration era. 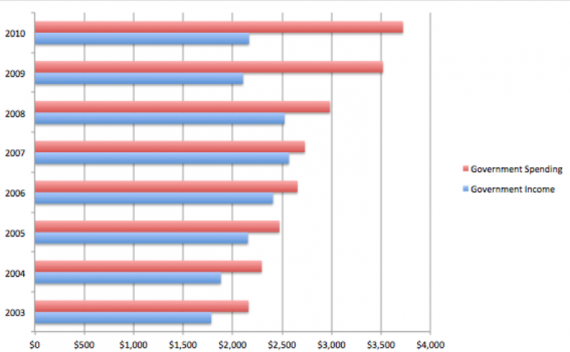 Where are the poor and middle class going to spend all of this newfound income from their paychecks? At companies owned by the upper middle class and wealthy. The higher the velocity of money, the more tax receipts the government collects. Giving nearly every American more cash from their paycheck is going to have a much bigger influence on that metric than giving billionaires more money to park in Treasury bills. Why have I given up on the Republican Party? Simple. President Obama proposed exactly that. It would have been the biggest tax cut for the poor and middle class in the history of the United States. Struggling parents working for minimum wage would have seen much more money in the check their employers handed them. Did the Republican Party, who has been using Milton Friedman’s work to justify the tax programs for the super-rich, jump on this? No. They killed it solely so the President didn’t look good during the next election. They put their party before the country. They proved they are not actually interested in supply side economics, but rather a zombie version of it that promotes the well-being of the upper elite at the exclusion of the average American. 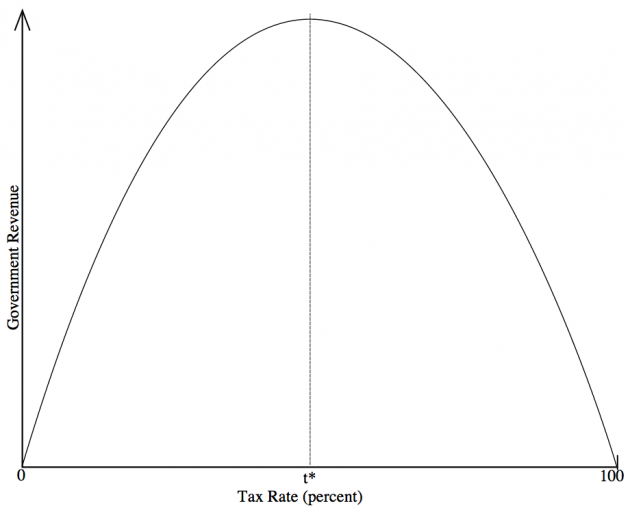 We know the Laffer Curve looks at theoretical rates of taxation and the influence on governmental tax receipts. However, I think that the consideration is influenced by the given psychology of a population, which is not always understood. [mainbodyad]Think about the so-called 90% tax rates following World War II in the United States. Leaving aside the fact that the tax rates were not, actually, 90% (there were enormous exemptions that resulted in far lower effective rates, sort of like The Netherlands today), people didn’t mind paying taxes because the money was used to help fight Hitler, and later rebuild the country following the war, in what was seen as a cataclysmic fight between the forces of good and evil. When you believe you are fighting for the very freedom of mankind, you feel good about writing a check to the Treasury. When you know the government is using tax money to achieve something great, like space travel, you feel good about sending in cash to the IRS. It’s been a long time since those situations have existed in the United States. Today, our money is used to buy million dollar bombs that are detonated on goat herders in mountains halfway around the world using unmanned aerial drones. No one feels good about this. I’d much rather keep the money myself and pay the goat herder for the cashmere wool his goats produce, giving him a better life and me a more comfortable home. That doesn’t directly show up in the Laffer Curve, but to the extent that it influences my willingness to invest time in finding intelligent tax strategies, it is there. The United States has a long history of attracting people who want to be free of regulation and self-sufficient. That type of self-selected population (it takes a lot of courage to get on a boat for an unknown land, leaving everything you know, including the language, behind in your home country to make a new home in a faraway place) is less tolerant of imposition from outside forces. Therefore, it seems reasonable that the “screw it” level of throwing one’s hands up would be lower in the United States than it may be in other countries. It’s part of the cultural fabric. The Laffer Curve represents a theoretical model. It is not the same as saying it is a good thing for the government to maximize its revenue collection. The older I get, the more I fall into the Thomas Jefferson camp of the proper role of governmental power. This includes how I view the Laffer Curve. Personally, I get nervous whenever the United States Government represents more than $20 for every $100 in economic activity. For the past couple of centuries, that has been the level at which it plays an important role in society, but still is limited as one of many “spheres of influence” that act as a check and balance against one another for the protection of the general population. Put plainly, even if the Laffer Curve could justify a 75% tax rate in the United States as the maximum breaking point before which people stopped working or began cheating the system on an ever-escalating basis, I would vehemently oppose it if it resulted in the size of the overall government expanding beyond what I consider the historical “safe” zone. Tyranny can take many forms, be it corporations, governments, land lords, or mob mentalities. The reason our form of government has worked so well is the structural checks and balances that were put in place at the insistence of men like Thomas Jefferson and Benjamin Franklin.